Hopefully we're heading out of Winter soon. Very soon. If you're not looking forward to it being over, you might want to see a doctor. With Spring come a few changes to the routine. We'll be heading back outside a whole lot more. That means our YMCA indoor time will taper off (typically in April) and we'll hopefully have more group rides outside. Until then, it's business as usual- Friday Nights we're at The Wheel Mill, and Saturday afternoons from 4:30 to 6:30 we'll be in the gym. Thanks to the many new riders who joined us and learned to ride this Winter. 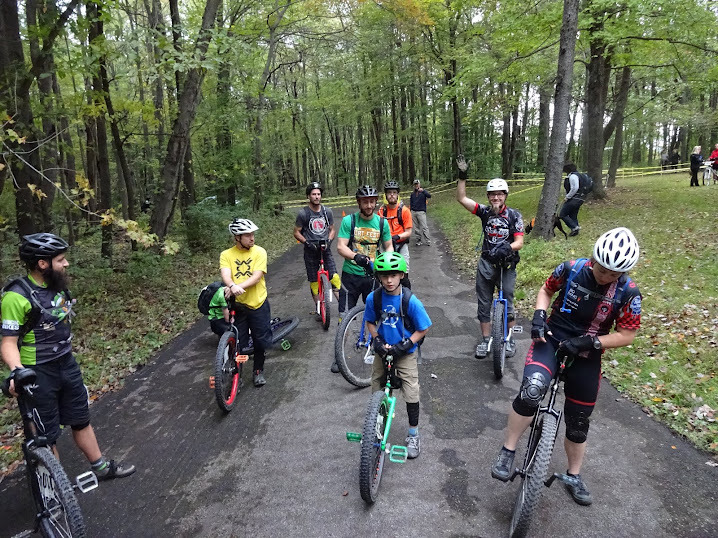 It's our hope you'll continue to ride unicycles throughout the snow-less months and join us for some other rides. If you've enjoyed unicycling with us at the Butler YMCA, please consider giving back. The YMCA has been gracious to keep unicycling absolutely FREE to those in the community. In appreciation, as the unicyclists, we'd like to give back. The YMCA is a wonderful organization that gives on so many levels. One significant way they take care of the community is through the Strong Kids Campaign. It provides scholarships for those who can't afford YMCA services. They do a much better job of describing what they do so Read all about it here. If you choose to contribute, please note on your donation with "I'm with the Uni Club" on the form or in the comments. 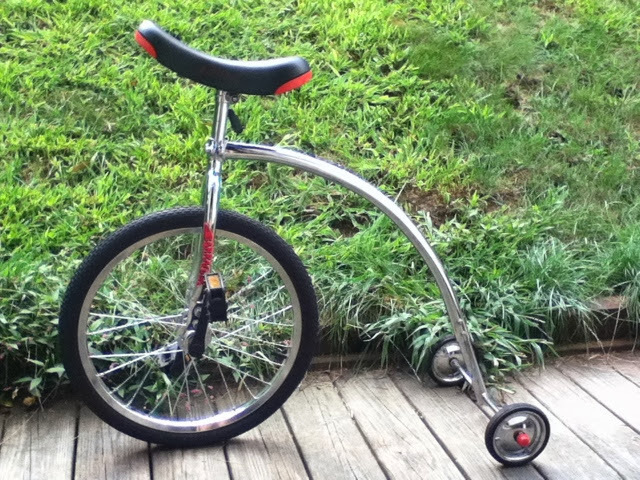 We have been challenged to see if we can raise $1000 as a team of unicyclists. That's a big challenge, but totally doable. As always, we as the Butler Wobble not ask you for money. We also do not receive any financial compensation from the YMCA for unicycling. They help us out with giving us a space to practice and that's been the essential element needed for unicycling to grow in our area. All of the funds given during the Strong Kids Campaign go directly to the YMCA. All we ask that if you choose to contribute, please note your affiliation so they can see how we do appreciate the YMCA's role in our community.